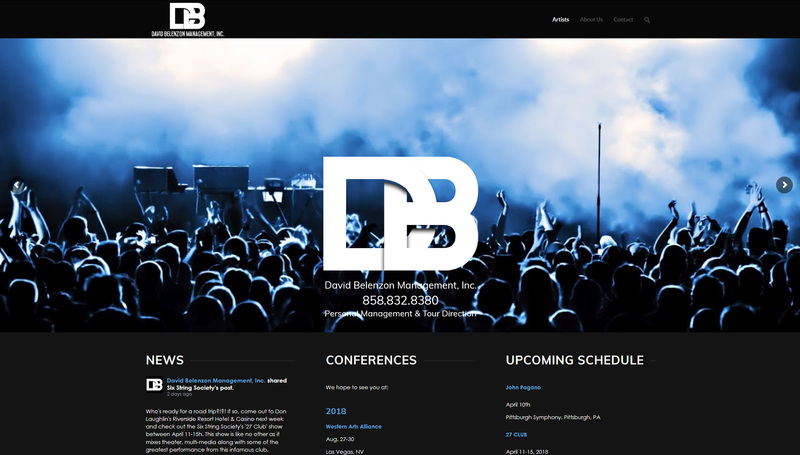 David Belenzon Management, Inc. manages dozens of up-and-coming artist, performers, and musicians. He was in need of a new website that could be found easier. We redid every single page to be SEO friendly and since his site has gone live, his hits have gone up drastically. We’ve done a lot of great things in web development and were ready to take on your project on next!